The idea of the Backstage Gear Tours is to allow the Backstage Pass owners to test a piece of gear at home on their gear, in their familiar environment with their sonic references they are used to. As we all know, there's a world of difference in trying a piece of gear in a music compared to doing it at home. Here's how it works: The Guitar Channel sends the gear to the first backstager who tests the equipment at home for a week who will then send the piece of gear to the next and so on until the return to the headquarters of The Guitar Channel. The loaned gear within the Backstage Gear Tours is provided by Pro Backstage Pass holders. For these companies this is a great opportunity to have their gear tested under optimum conditions by guitar enthusiasts. To limit the shipping cost, the tours happen only in metropolitan France. Sending a pedal in France in Colissimo costs about € 10. You want to have your gear part of a tour ? You have some cool guitar gear you want people to try at home? 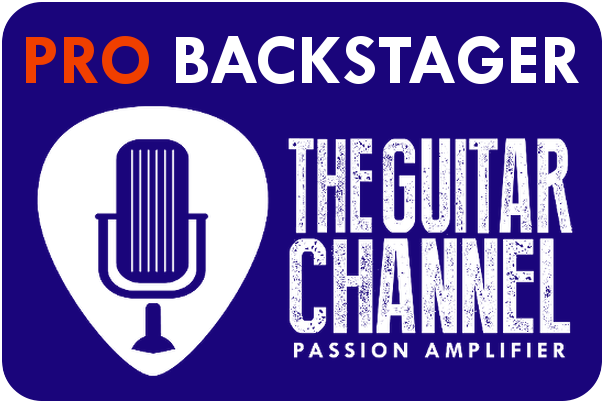 Get a Pro Backstage Pass on The Guitar Channel like brands like Eventide, Universal Audio, Anasounds, IT-11 Audio and let's get this started right away! You want to become a certified backstager ?